There are many reasons why records remain very popular. The placement of the needle, the following cracking and the artistically designed covers constitute the charm of a record. The record frame will look particularly good on the wall above the turntable. It lets you hang up your favorite album or look at the cover of the record you are currently listening to. 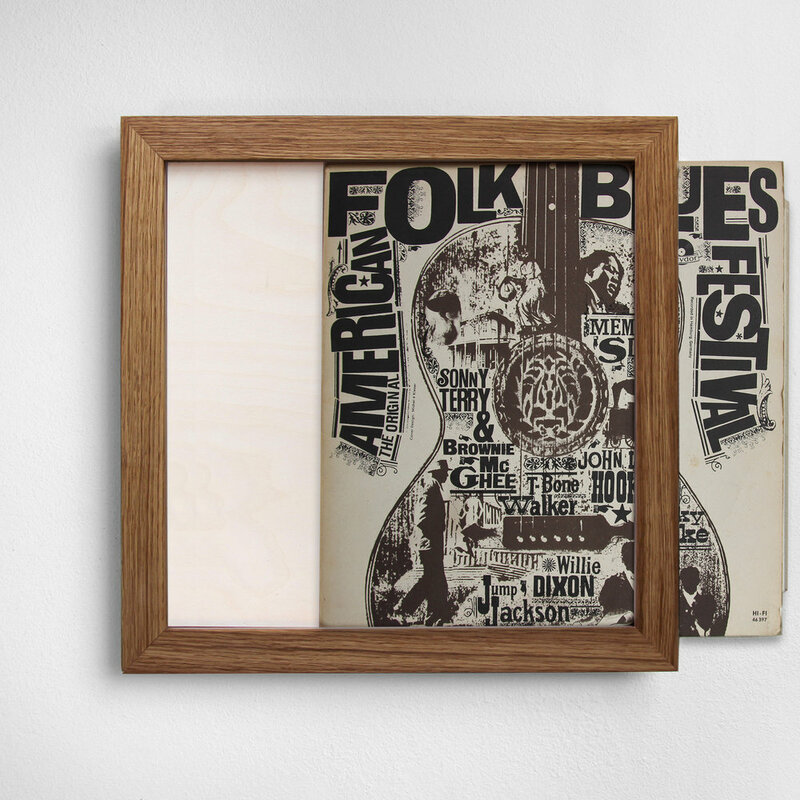 The opening is well placed on the side of the frame which allows the record cover to be changed without having to take the frame off the wall. The handmade frame is constructed of Northern European Oak.Dimensions 36.6 x 36.2 x 2.3 cm. Schallplatten sind aus guten Gründen nach wie vor sehr beliebt. Das Auflegen der Nadel mit dem darauf folgenden Knistern und die kunstvoll gestalteten Cover machen den Reiz der Schallplatte aus. So kann man sich seine Lieblings-Platte aufhängen oder das Cover der Schallplatte anschauen, die man gerade hört. Durch einen Eingriff an der Seite des Rahmens lässt sich das Cover wechseln, ohne dass man ihn immer wieder abhängen muss. Der Rahmen ist aus nordeuropäischem Eichenholz handgefertigt. Maße 36,6 x 36,2 x 2,3 cm.